Sea of Thieves Cursed Sails Dated, Trailer | Nerd Much? First shown off as part of Microsoft’s E3 portfolio, we now have a date for the upcoming Sea of Thieves Cursed Sails expansion. And luckily for us, the title’s newest content is just on the horizon. The content will be free of charge for all those that have Sea of Thieves for Xbox One or PC. 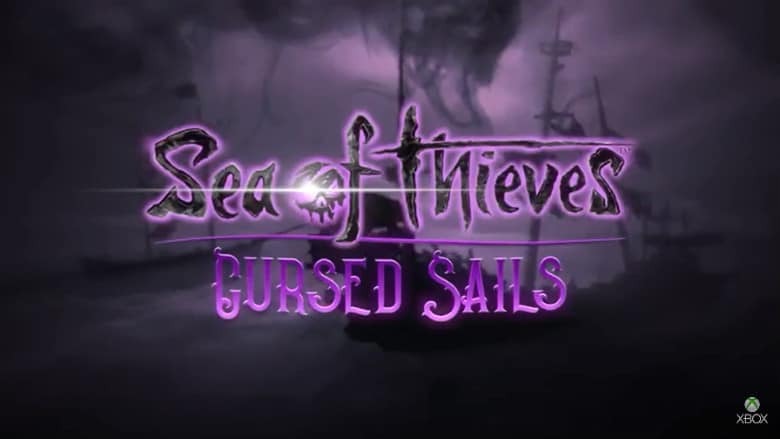 Rare is stating that Cursed Sails is their biggest update yet for the game. Key features include the addition of skeleton ships, new three-player Brigantine ships, and the ability to form alliances with other players in order to join up and tackle larger scale challenges. Though the inclusion of skeleton ships will be permanent, Rare will introduce the new feature as a special limited time campaign. Cursed Sails will run for three weeks and includes a narrative side quest that has you taking on the undead sailors and attempting to uncover the origin of their uprising. The addition of AI ships within Sea of Thieves Cursed Sails should help to alleviate one of the game’s major flaws – there’s just not much to do at times. Should you and your crew find yourself in a bit of a lull, a random skeleton ship rising from the depths should be the perfect remedy to help get the action going once again as you sail the seas. The inclusion of three-player Brigantine ships should prove useful to the game as well. The new vessels are essentially equipped in the same manner as the game’s larger ships. However, you won’t need a full four person party in order to properly utilize all the Brigantine’s features efficiently. Sea of Thieves Cursed Sails is just the first of a few big summer updates planned for the game. The new content be available for Xbox One and Windows as of July 31st. For titles coming beyond the 2018 horizon, checkout our list of all of upcoming games hitting our shores in 2019.